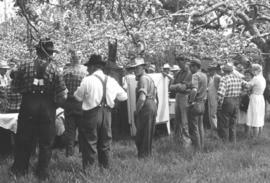 An auction sale in Waterloo County. Not found in CM. Colour photo. 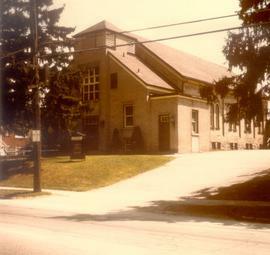 Erb Street Mennonite Church. The congregation was established in 1851. Found in Ontario Inter-Mennonite Conference Yearbook, 1974, p. 57.